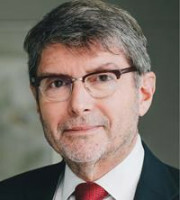 Since 1980, Timothy M Lowman has appeared as counsel in a broad range of commercial and IP litigation – including patent, trademark, copyright, professional errors and omissions, trade secret, invention ownership, product liability and employment law claims – in the Ontario Superior Court of Justice, the Alberta Court of Queen’s Bench, the Federal Court of Canada, the Ontario Court of Appeal, the Federal Court of Appeal and the Supreme Court of Canada. He is a Certified Specialist in Civil Litigation (by the Law Society of Ontario). Mr Lowman is also a Certified Licensing Professional (by the Licensing Executives Society), a Fellow of the Chartered Institute of Arbitrators (international arbitration), an arbitrator on the World Intellectual Property Organisation List of Neutrals, adjunct faculty at Ryerson University (business law), a Fellow of the Intellectual Property Institute of Canada (IPIC) and has been Chair of the IPIC Insurance Committee since 1997. He is a co-author of Legal Aspects of International Business Law – A Canadian Perspective, Third Edition. For over 30 years, Mr Lowman has been engaged in the management of intellectual property, including the development and prosecution of IP rights, the negotiation and drafting of licences and other commercial agreements, the conduct of IP due diligence evaluations and the litigation/arbitration of IP disputes. He has structured and negotiated a wide range of IP transactions in North and South America and Europe, including technology licences, company and asset purchases and sales, joint ventures and joint development agreements in the food and beverage, energy and mining, entertainment, electronics and life sciences industries. Mr Lowman has been nominated by peers and named in the IAM Strategy 300 since 2009.